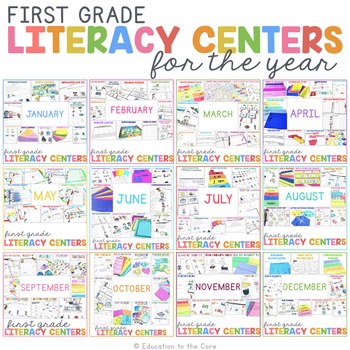 If you teach first grade, this is the magical time where many of your students are making the shift of “learning to read” to “reading to learn.” If you are like me, you try to stretch their learning as much as possible to get the most out of the foundation you laid throughout the year. 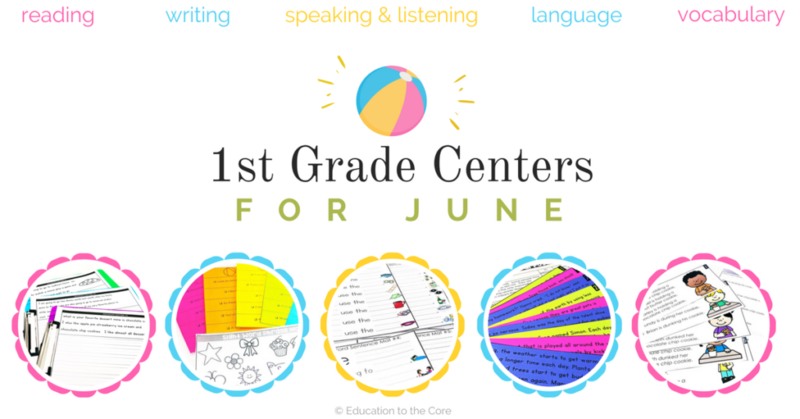 I have some center ideas that incorporate skills that are typically great for June! 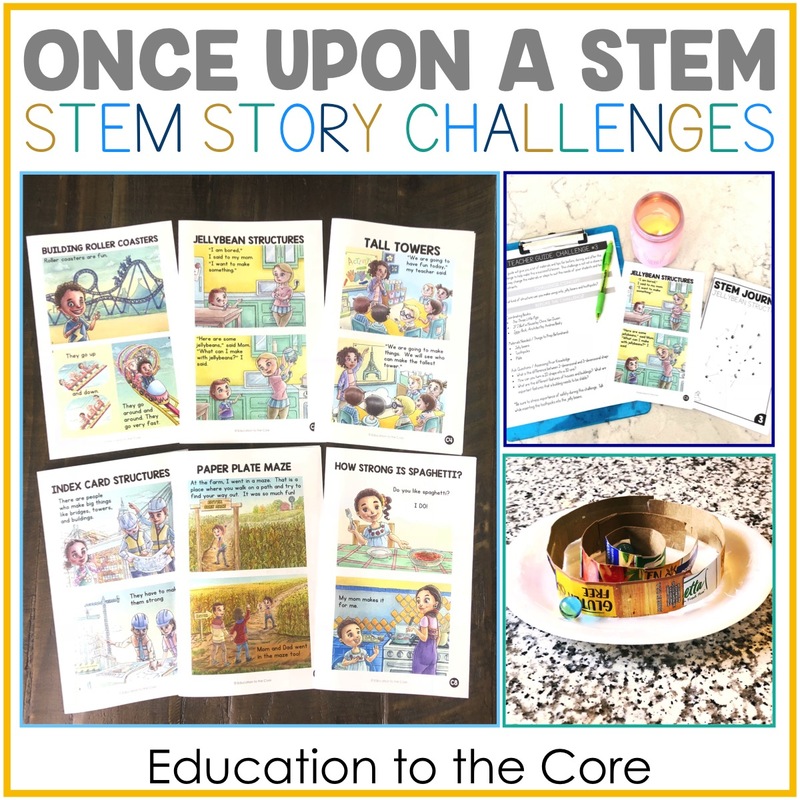 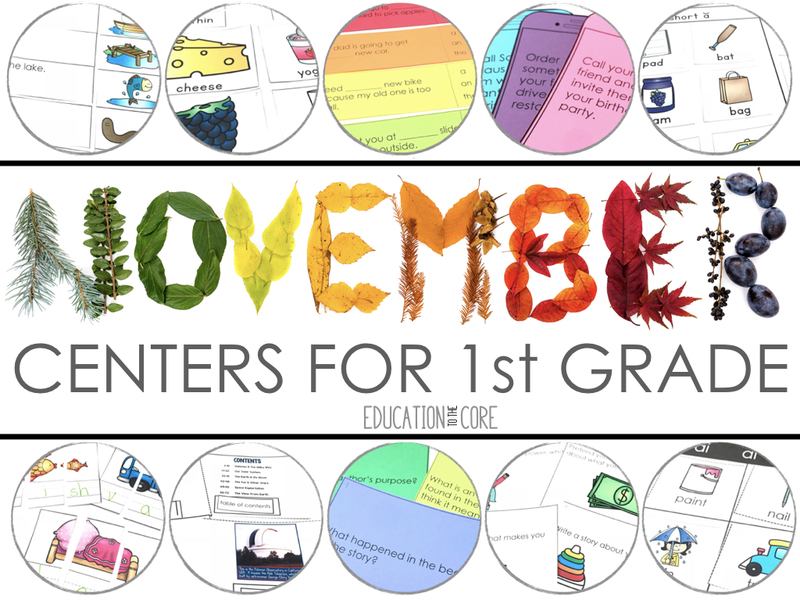 Whether you write these ideas down and pull them from your sources, or you already own my 1st Grade Literacy Centers Bundle, you have stumbled upon the right place for all things 1st Grade Literacy Centers. 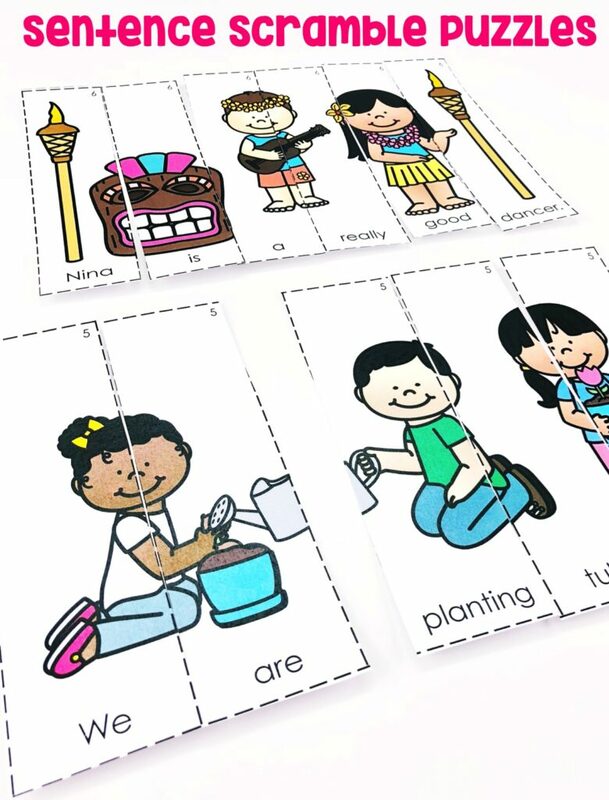 Sight Word Sentence Mats: Students will be working with sight words and repeated sentences with familiar objects. 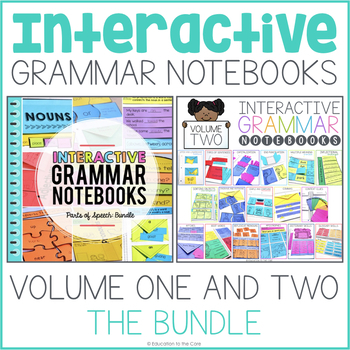 This makes for great review with common sight words, familiar words, and sentence structure. 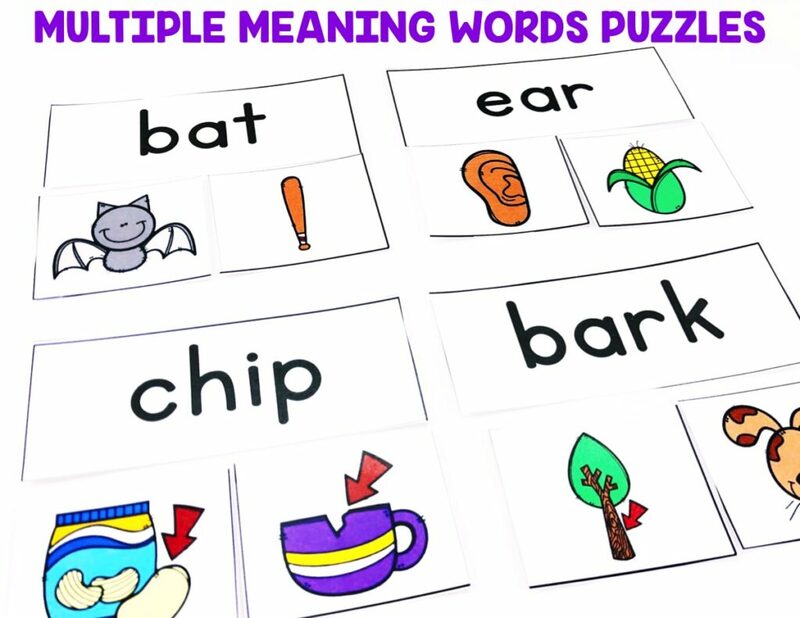 Multiple Meaning Words Puzzles: Students will be matching the multiple meaning words by completing the puzzles. 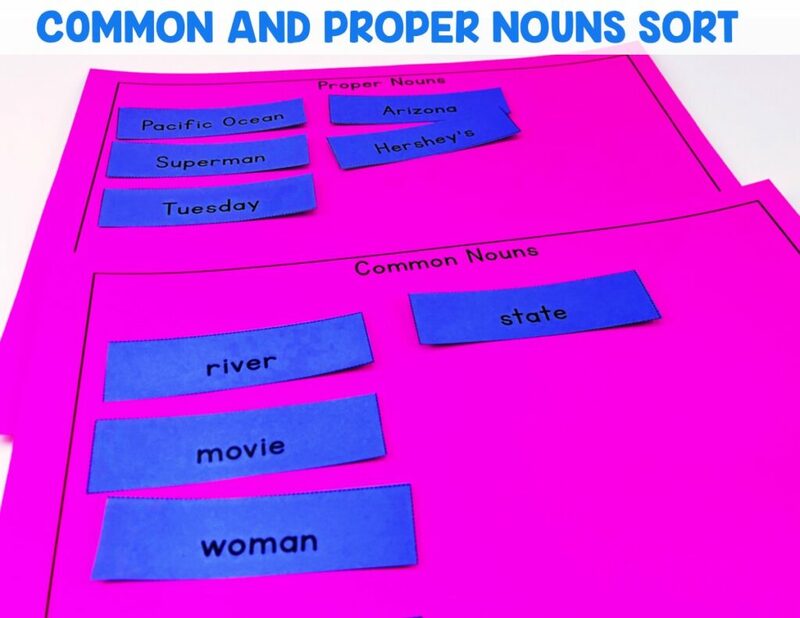 Common and Proper Nouns Sort: Students will be sorting proper and common nouns using the mats provided. 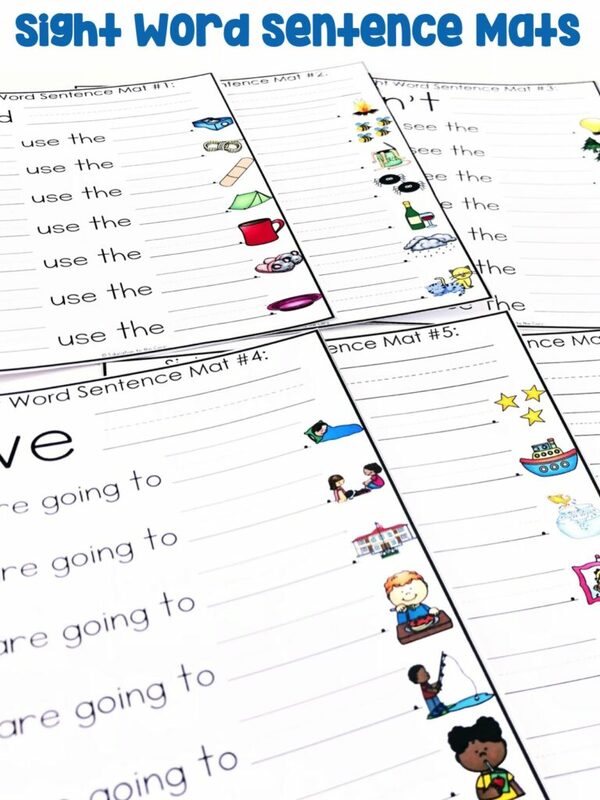 Sentence Scramble Puzzles: Students will produce sentences by rearranging the picture/sentence puzzles. 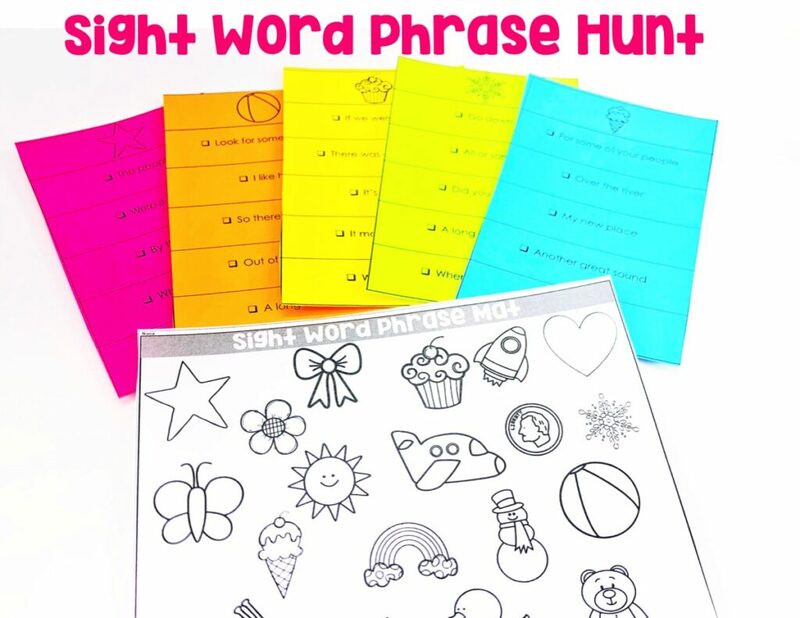 Sight Word Phrase Hunt: Students will be reading each phrase card. 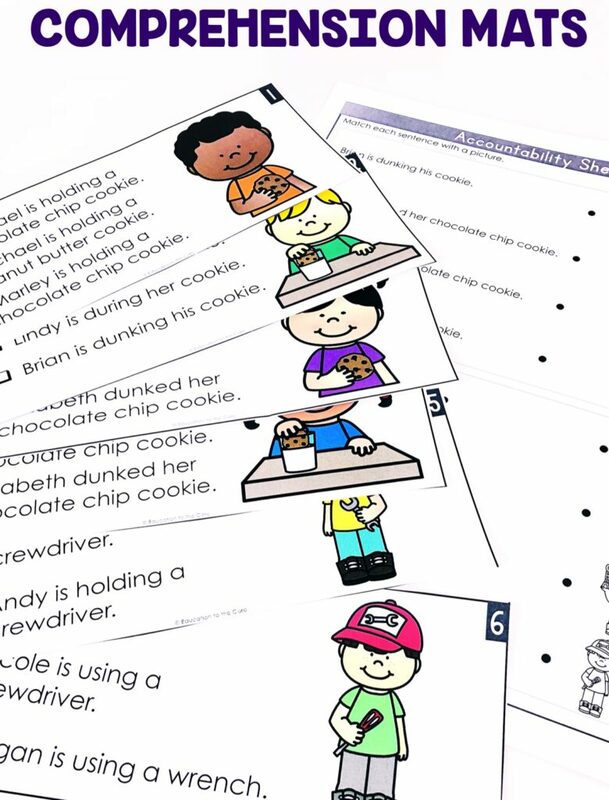 When they read each phrase on the card correctly, they can color the corresponding object on their accountability sheet. 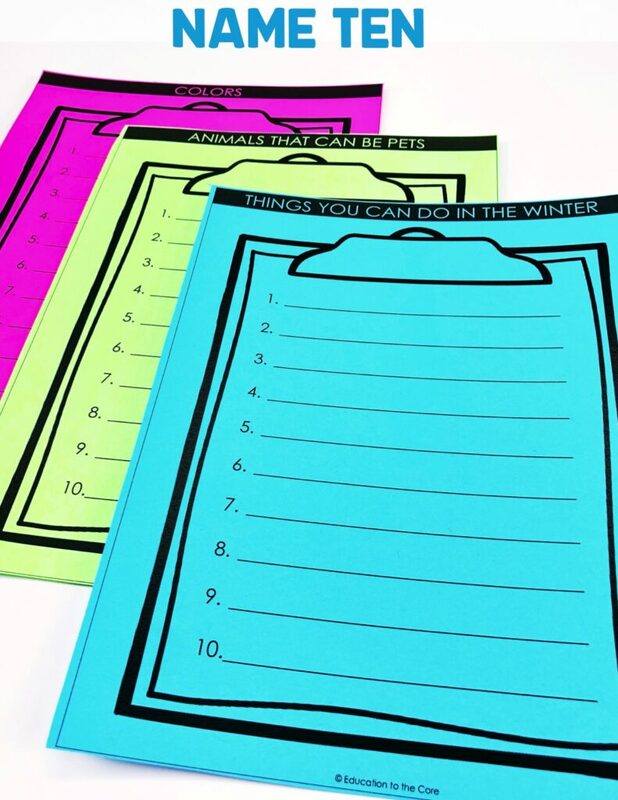 Name Ten: Students will think of words that go with each category on the “Name 10” Clipboards. 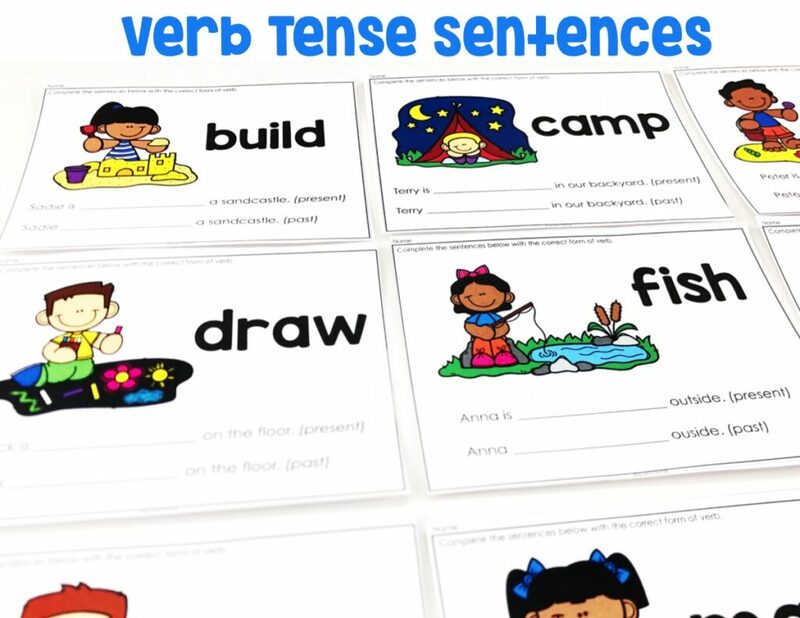 Verb Tense Sentences: Students will be conjugating verbs in the present and past using the sentences provided on the task cards. 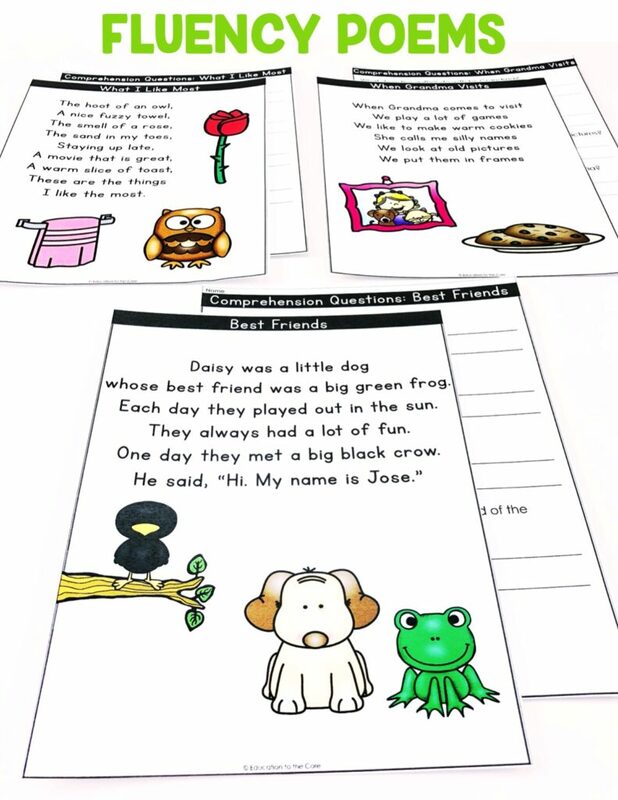 Fluency Poems: Students will be reading the 1st grade fluency poems and answering comprehension questions about each poem. 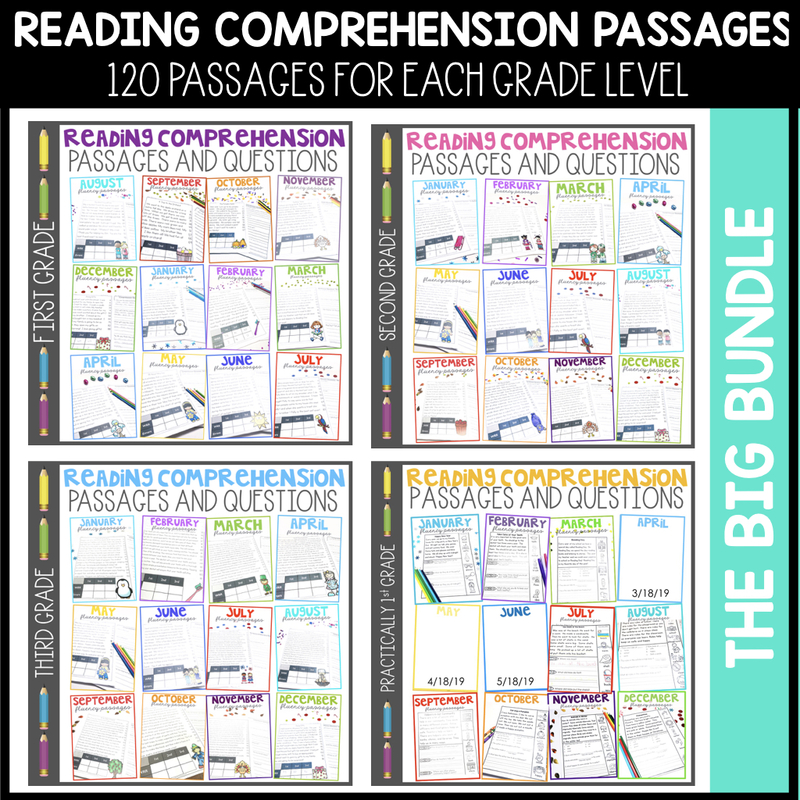 Author’s Purpose: Students will be reading paragraphs on each task card and stating the author’s purpose. 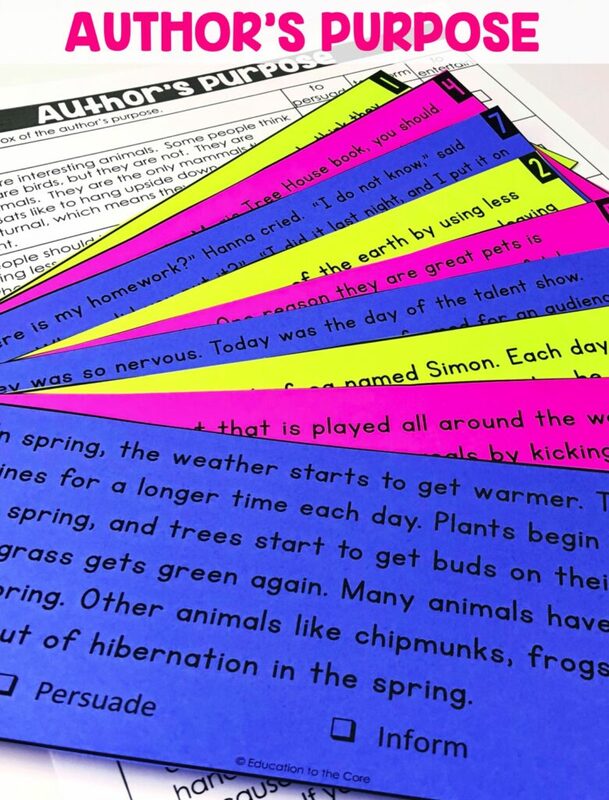 Comprehension Mats: Students will select the sentence that best matches the picture. 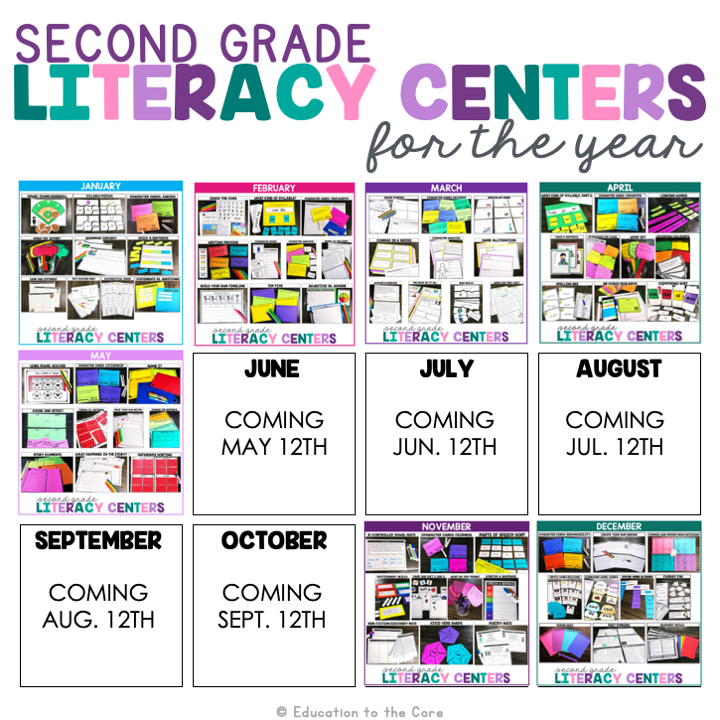 I hope you enjoyed these Literacy Center Ideas for June! 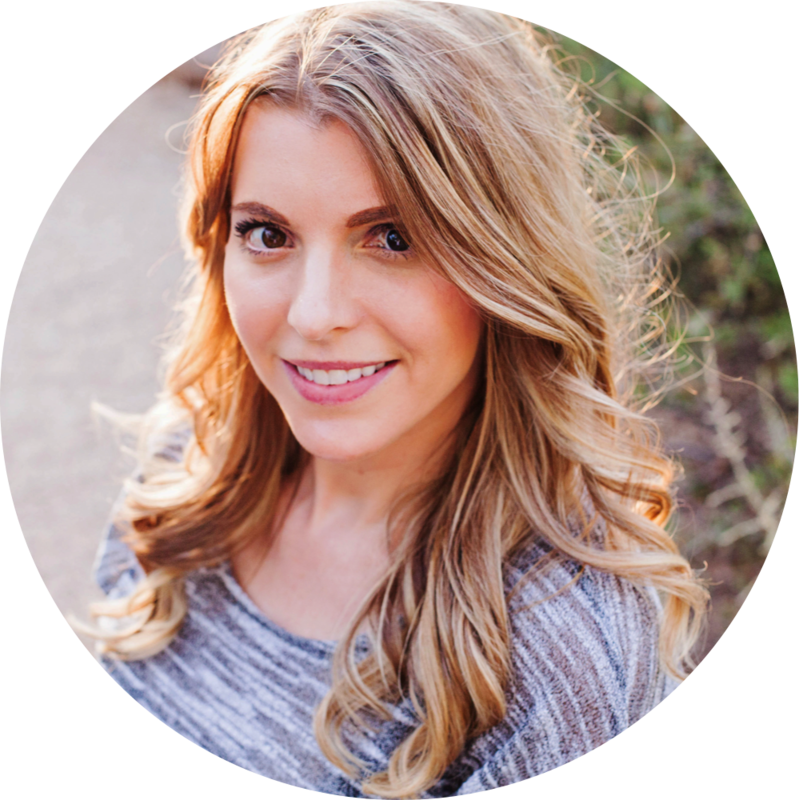 Thank you for sharing such relevant information.